Over 20 company field technicians of Saudi Readymix has recently been awarded with ACI (The American Concrete Institute). According to Saudi Readymix’s Technical Department, the company now has over 100 ACI certified technicians. 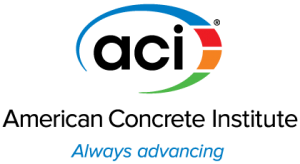 The ACI certification program for Concrete Field Testing Technician Grade-1 has been developed for the purpose of certifying concrete technician who have demonstrated the knowledge and ability to properly perform the basic field test on freshly mixed concrete. This helps to assure quality control of the concrete as well as to improve the reliability of the results. Technicians who upgrade their skills and credentials through ACI certification will increase their own opportunities as well as contribute to the advancement of the industry. Saudi Readymix is the leading ready-mixed concrete supplier in Saudi Arabia with a network of over 36 factories located in various strategic locations throughout the Kingdom and employs around 2,800 employees and runs the largest fleet of mobile equipment in the region. The Company contributes in many ongoing research in concrete in collaboration with various academic institutes and organizations and has recently opened its new state-of-the-art Research and Development Center in Dammam.